No Max Limit! We Are Waiving Up To 3 Months Of Your Remaining Lease Payments, Regardless Of The Amount | Ray Laethem Chrysler Dodge Jeep Ram " "
Whether you are going to go over your allotted miles, your lifestyle changed or just looking for something new, a lease pull-ahead is for you. Complete the quick form below and we’ll do the work. You won’t spend a dime with ABSOLUTELY $O DUE at lease signing. We are authorized to satisfy the final three full-months lease payments on your current vehicle, regardless of the amount of those payments. There are no exceptions. You have been chosen to receive this non-transferable lease pull-ahead offer. In order to qualify, your current leased vehicle must be returned and new lease signed by 4/01/19. 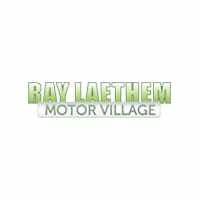 Ray Laethem Chrysler Jeep Dodge RAM will waive up to 3 months of your remaining lease payments regardless of the amount of those monthly payments! Expires Monday, April 1, 2019. LaethemLease™– Absolutely $0 Due At Lease Signing. ALL TAXES AND FEES INCLUDED! No Haggle Lease Experience. Over 699 brand new Chrysler Jeep Dodge & RAM vehicles in stock. View All LaethemLease™ Specials Below.